Exploring the onsen town near Tokyo of Yamanouchiwhere to next? Home / Blog / Snow monkeys and steaming hot baths. It’s a bit surreal watching a troop of snow monkeys squabble over best position in their steaming hot bath, surrounded by snow-covered slopes. Like watching kids in a crowded swimming pool. It’s not quite the David Attenborough moment I was expecting, but according to No. 1 son, it’s “so cool.” Praise indeed. This is our introduction to Japan’s onsen tradition, in the hot springs region of Yamanouchi, an onsen town near Tokyo (well, 60 minutes away by bullet train). 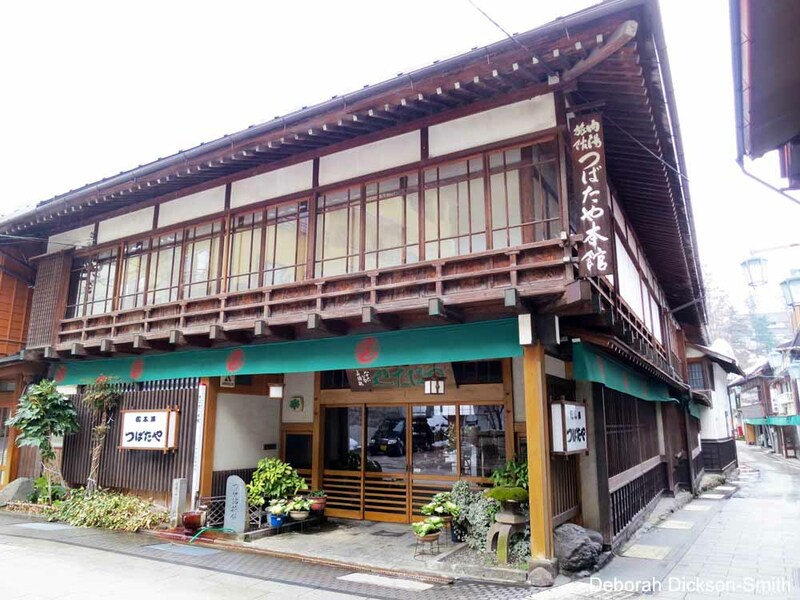 As we head into the nearby village of Shibu Onsen, we’re about to learn a whole lot more. 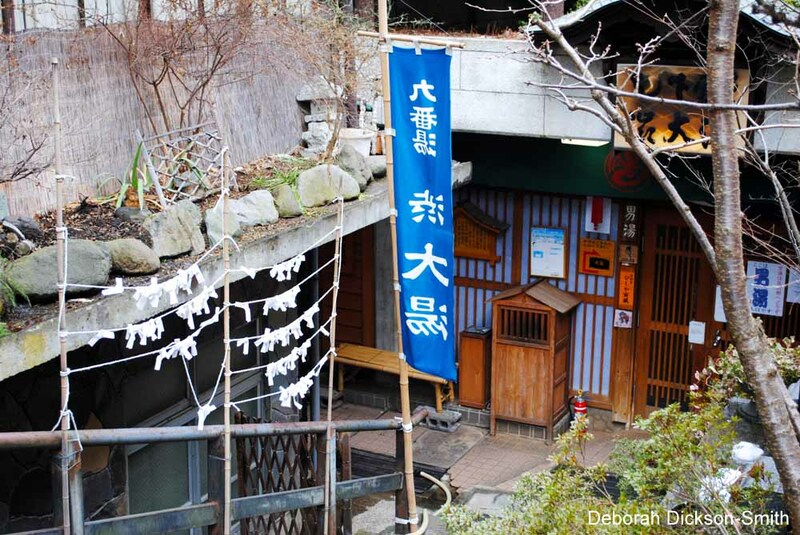 Shibu Onsen is around 1300 years old, and wandering through its cobbled streets is almost like stepping back in time. The narrow lanes are great fun to explore, and if you’re staying at one of the local traditional inns or Ryoken, you’re given a key to all the village’s onsen (public baths). It’s strange to see people walking through the snow in their bathrobes and sandals, so warm from soaking in the hot springs they don’t feel the cold. However within a couple of days here, we were both sold on the onsen culture of bathing in public, even my normally cynical teenage son. On our first night here he booked himself into the private rooftop onsen. Apparently all his anime heroes hang out at the onsen so he’s already quite familiar with the routine – he even knows what to do with the modesty towel (it’s placed on your head while you soak apparently). Undress completely before you enter the bath area (no swimmers allowed). Wash first, using lots of soap and your wash towel, while crouching or sitting on the small stools provided (don’t stand). Use the wash towel for modesty when walking, and ease yourself into the water (don’t splash or dive). Place the modesty towel on your head while in the water. Don’t wring out your towel into the bath or let it touch the water. Don’t swim – the bath is meant for quiet soaking and contemplation. 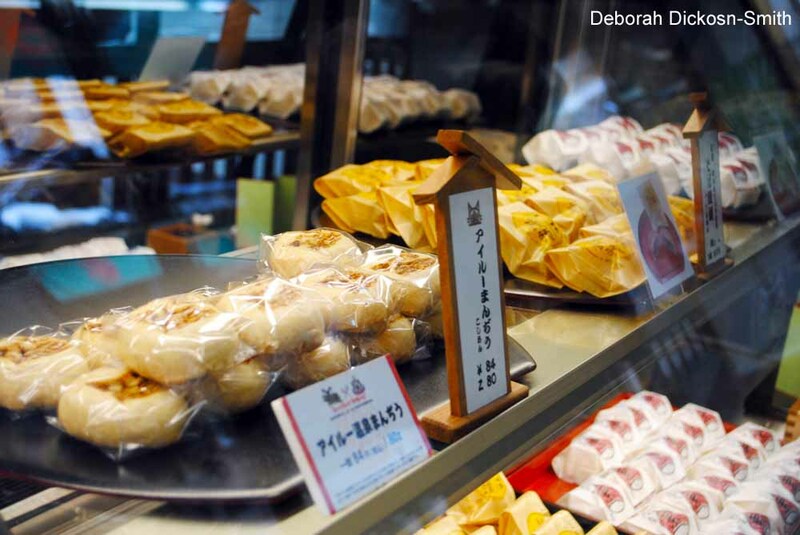 On the culinary side, there are a couple of local delicacies worth sampling while you explore the onsen village: onsen eggs and snow monkey manjus. 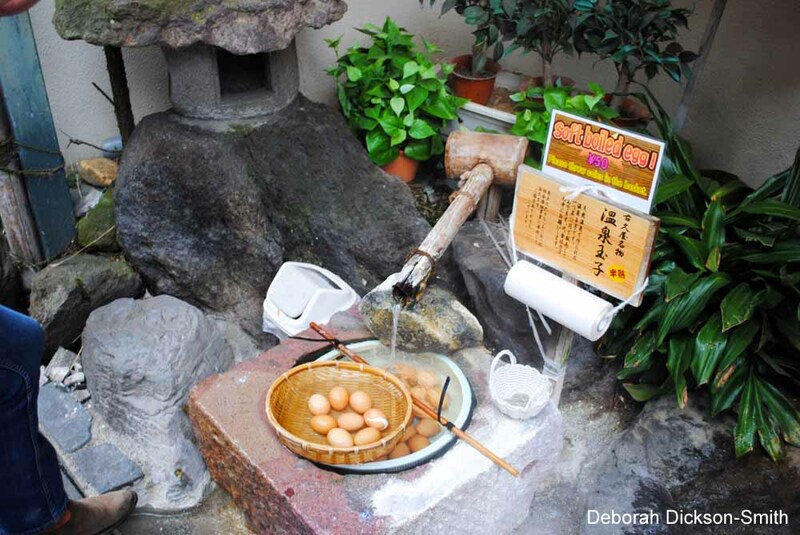 Onsen eggs are soft boiled eggs, cooked slowly by hot springs water flowing over them, the result being eggs with a white as soft as the yolk (or yolk as firm as the white – whichever way you want to look at it). Manjus are steamed buns with sweet or savory filling and Snow Monkey Manjus are a local specialty of Shibu Onsen and have a sweet red bean filling. The meal we are served at our Ryoken is a ceremonious affair (again impressive even to No. 1 Son). We’re seated in a private dining room with tatami matting floor and rice paper walls. Small portions of beautifully prepared food are served in a never ending parade, covering practically the whole gamut of Japanese cuisine. We’re served sashimi, miso and tempura vegetables, given small burners to barbeque mushrooms and finely sliced beef and various dipping sauces for each. This is apparently, the coolest meal EVER. Ryokan Biyu no Yado is in the onsen village of Yudanaka. 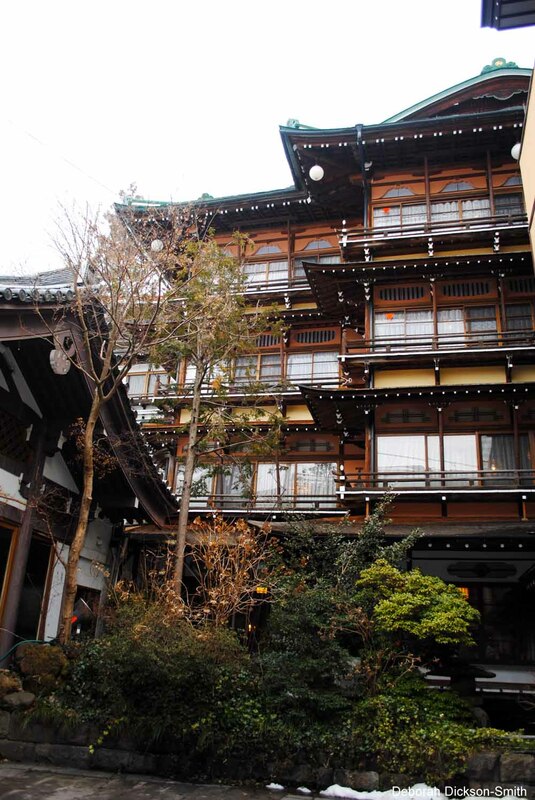 It’s definitely worth staying here at least one night to explore the onsen village and nearby snow monkey park. 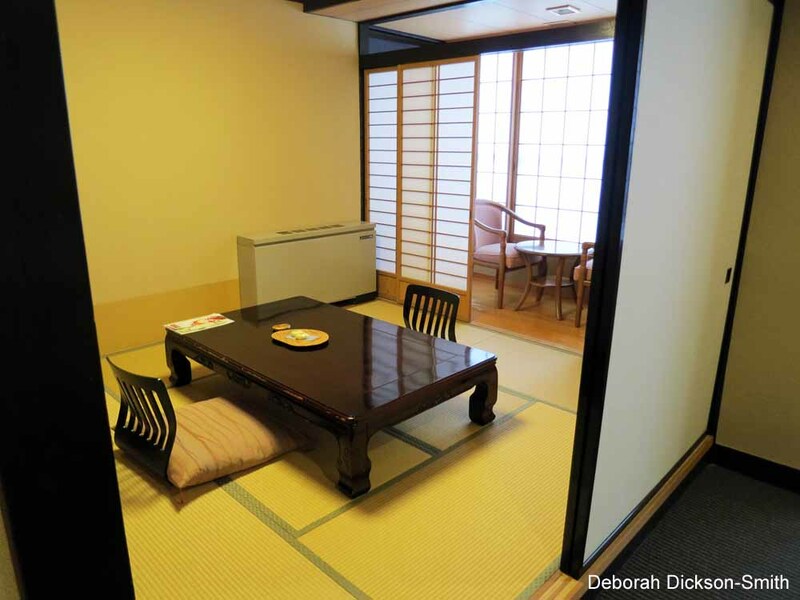 The spacious rooms are a mix of traditional Japanese and Western style and the many-course meals are an event in themselves. Be sure to book at least one session in the private rooftop onsen. We flew Cathay Pacific, who I can highly recommend, even at the non-pointy end of the plane. Fantastic service on the ground and in the air. The writer was a guest of Shiga Kogen Tourism Association and Yamanouchi Town Tourism Association. For further information on travel to Japan, contact Japan National Tourism Organization (JNTO). Previous Article A high tea fit for princesses. 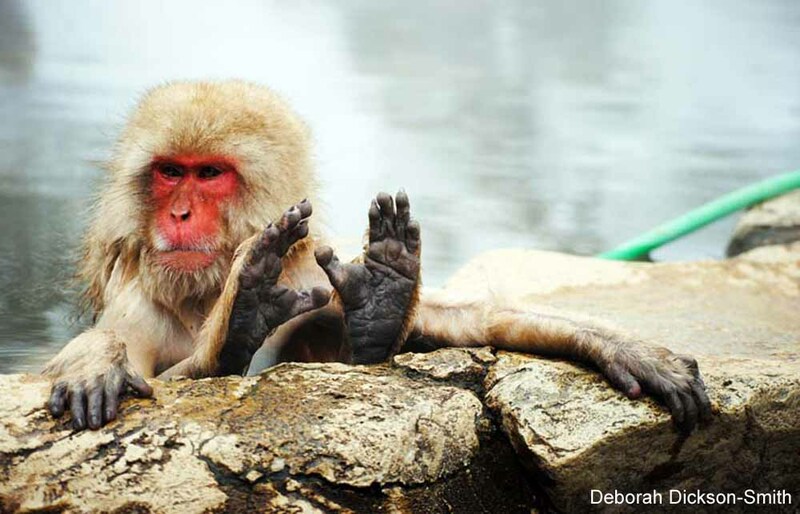 Hello there, I would adore seeing a monkey in a hot pool, and even more being in a hot pool myself NOT ALLOWED TO MOVE…. sounds like bliss. Is this far from Tokyo? Can you give the internal travel info… makes me feel as if I could plan a trip there. No young kids of mine would be invited! Bliss indeed! It’s in the Nagano prefecture, which is exactly 1 hour 25 minutes by bullet train from Tokyo Station, with regular shuttle bus service from Nagano Station to Yamanouchi and the ski fields. The hotel was absolutely beautiful – highly recommended! Next time we are doing this!